Rainclear Systems has been providing customers with high quality Metal Guttering for over a decade now. At the same time the friendly, knowledgeable team have been offering advice, free quotations and a ‘take off’ service to its customers. But what is a ‘take off’ service and how does it take the guess-work out of buying your guttering? 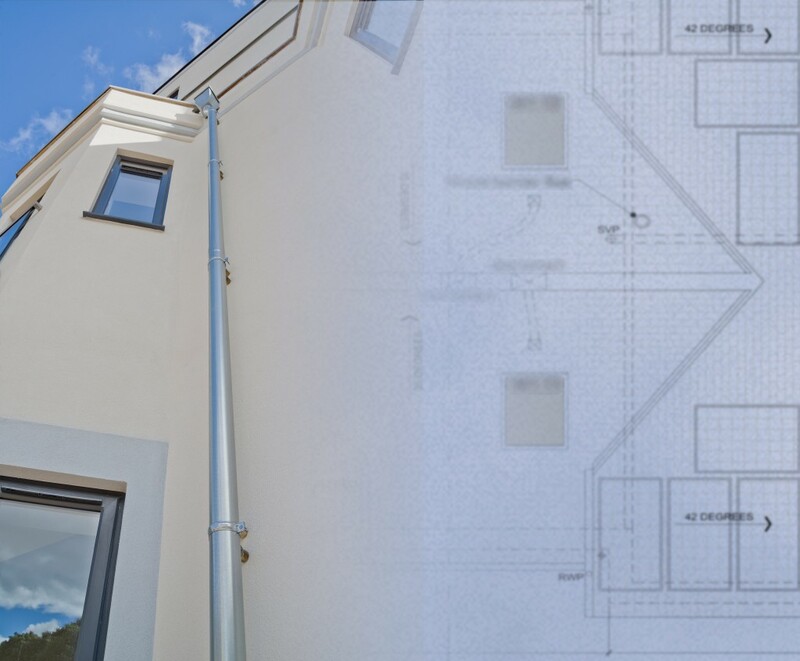 and recommending the required size of the guttering/downpipes for efficient management of the rainwater to effectively protect your property and foundations. So for Rainclear to undertake a ‘take-off’ you simply need to send your architect drawings and select the metal and profile you prefer from the huge range of Cast Iron, Cast Aluminium, Modern Aluminium or contemporary Galvanised Steel or Copper available on the website www.rainclear.co.uk. The expert team at Rainclear perform the take-offs themselves in-house, printing off your emailed plans on their own plotter, so you know you can discuss your project with somebody who has seen and shares your vision. They can then send you a quotation based on the information you have supplied and the material and gutter profile you have selected. Some profiles are more suitable for areas of the UK with high rainfall, like the contemporary Aluminium Dflow and Half-Round Galvanised Steel. Others, like the Cast Iron Victorian Ogee, may be specified by your conservation officer if you live in a designated conservation area. Call the team now to discuss other metal and gutter profile options on 0800 644 44 26 or send your plans and preferences to sales@rainclear.co.uk today.